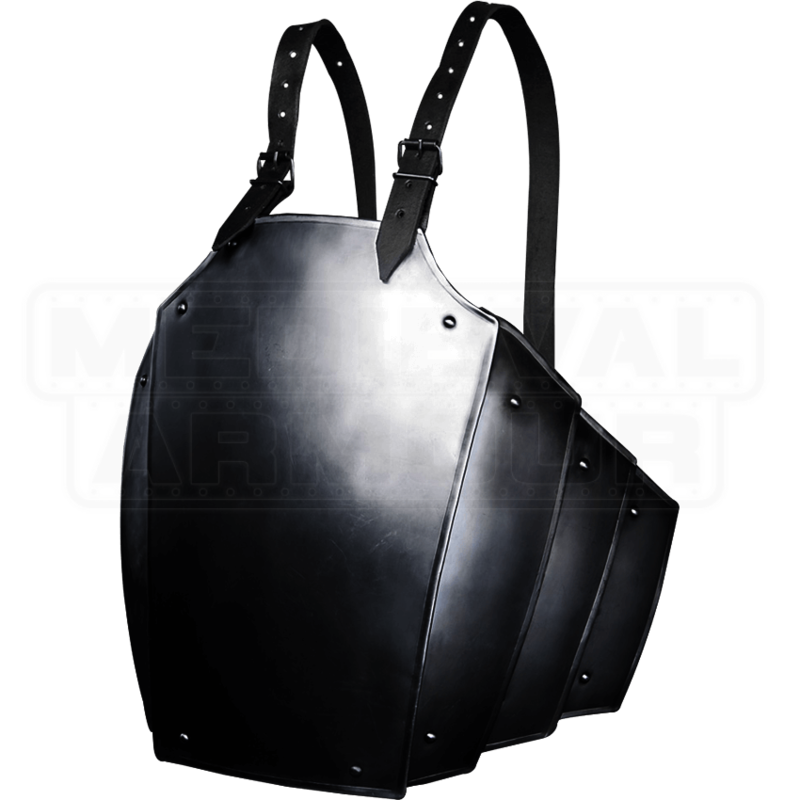 The Blackened Adam Breastplate offers something truly special for your live action role-play warrior ensemble. The design of the functional body armour is inspired by the first complete breastplates from the 14th century. Metal lamellae provide additional protection to the sides and lower back. 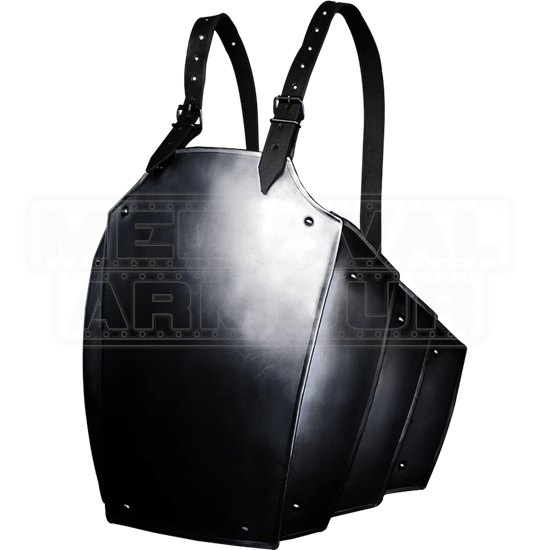 The steel armour is fastened by two buckles and leather straps on the backside. This metal breastplate features a gorgeous dark finish for a look that will go great with many other pieces of our LARP armour. Consider wearing this piece with a padded gambeson for increased comfort, and be sure to check out our other Adam-style armour.